You worked hard to open your firm or store, and it’s important to get your name out there and build your brand. Attending trade shows is a great way to network, meet and build rapport with potential customers, and display your brand. Make sure your business stands out from your competitors with customised promotional products, logos and apparel. 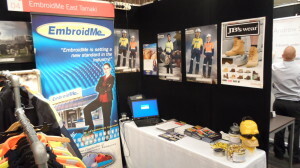 At EmbroidMe, a promotional marketing expert will partner with you to develop a concept designed to get you results from your trade show experience. 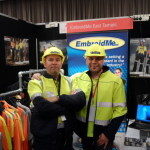 Pictured: Wayne from our East Tamaki store attending a recent Trade Show. It is easy to get lost in a sea of other vendors, so it’s important that your brand stands out. Grab people’s attention with striking pop-up displays and logoed banners and table skirts. Don’t just rely on name tags; make sure your company is known and each member of your team is identified by placing your brand on any of our high quality apparel. You will always look your best while pitching a prospective client in an embroidered polo, t-shirt or hat with your logo on it. Don’t be just another company at the show, be an innovator with a unique variety of promotional products. Don’t have any branding imagery? At EmbroidMe we can help design and create the perfect logo for your brand that can be printed on just about any fabric or surface. We can do anything from custom pens to embroidered oxford polos. Leave a lasting impression with promotional giveaways such as calendars, golf items, mugs and tote bags or drawstring back packs. Everyone can leave with a custom item featuring your brand. Generate new buzz about your company and create future business and networking opportunities. With our state-of-the-art embroidery, garment and screen printing, we can print or embroider your company name, logo or full-colour photographs on any fabric, creating the look you desire for your company. Proudly display your brand at your next trade show. Sweep the competitors under the rug at the next cleaning supply show or exterminate them at the next pest control show. Whatever your trade, EmbroidMe is here to ensure your brand is recognized and becomes a household name. Contact your nearest store today to establish and promote your brand the right way. Almost two in three adults confirm the importance of business uniforms and how uniformed employees have a very positive impact on their perception of a company. Uniforms can speak volumes about a business’ operations and brand, as found by a recent study commissioned by Cincinnati-based Cintas Corporation. The survey, conducted online in January 2014 by Harris Interactive among 2,051 adults, revealed that nearly 65 percent of U.S. adults said that seeing uniformed employees has a positive impact on their perception of a company. Business uniforms are an investment that pays off. In order to protect that investment and ensure a sharp image and brand, many companies turn to a uniform rental program. Under the program, the rental provider picks up soiled garments on a weekly basis to inspect and launder the uniforms and repair or replace any garments damaged from normal wear and tear. Upon selecting a uniform provider, it’s important that businesses look for uniform companies that focus on contemporary, retail-inspired uniforms that improve image and deliver exceptional employee comfort. 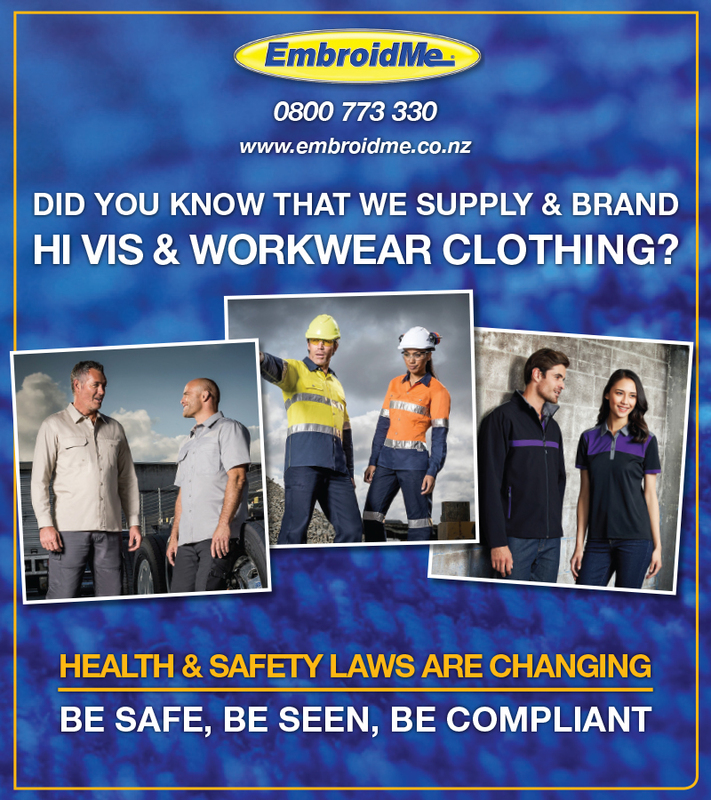 This includes high-image work shirts, women’s uniforms specifically designed with a woman’s body in mind and apparel designed by trusted brand names, such as Carhartt. This survey was conducted online within the United States by Harris Interactive on behalf of Cintas from Jan. 6 through Jan. 8, 2014 among 2,051 adults ages 18 and older. This online survey is not based on a probability sample and therefore no estimate of theoretical sampling error can be calculated. With hundreds of Showrooms around the world, EmbroidMe is the most comprehensive source for business uniforms and promotional products to help advertise your business. 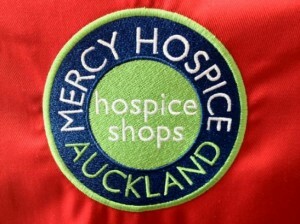 We are your promotional partners with full-service custom embroidery and screen-printing services. 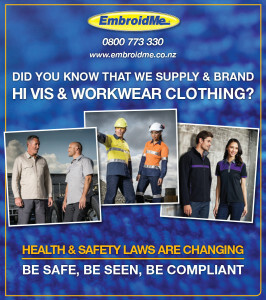 EmbroidMe’s on-site specialists are ready to provide you with first-class service and products of the highest quality. Call us today to find the EmboridMe Showroom nearest to you. For over a decade, EmbroidMe has provided high-quality custom embroidery, putting logos on shirts, polos, hats, and apparel in a way that is convenient and affordable. By choosing EmbroidMe for custom embroidery and promotional products you can get the distinctive, sophisticated look you need without any limitations. EmbroidMe has an extensive selection of customisable apparel that goes beyond shirts, hats, and jackets, with a broad array of uniforms and accessories, such as sports bags, backpacks and totes. Offering a variety of apparel and a diverse choice of colours, materials, and styles, EmbroidMe has a custom apparel solution for everyone. Choose EmbroidMe for your one-stop-shop for custom embroidery and promotional products. 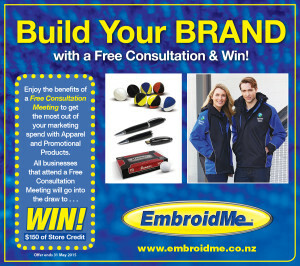 As the largest promotional products franchise that offers local in-house customisation services, EmbroidMe gives your custom embroidery needs the personal attention from our dedicated staff. Our on-site specialists offer their expertise in helping you design your custom apparel at your local EmbroidMe Showroom. With hundreds of Showrooms around the world, EmbroidMe is the most comprehensive source for promotional apparel and products to help advertise your business. We are your promotional partners with full-service custom embroidery and screen-printing for apparel. 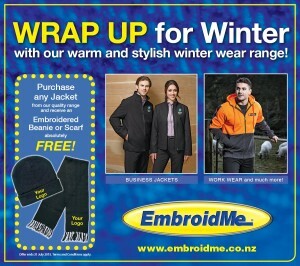 For more information about customised promotional products and to view this and additional releases, visit the EmbroidMe News & Press Release section of embroidme.com. EmbroidMe’s on-site specialists are ready to provide you with first-class service and products of the highest quality; just click EmbroidMe Locations to find the Showroom nearest to you.